ALL ARE WELCOME. 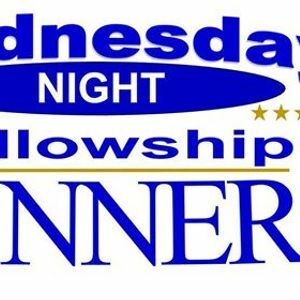 Join us for our Wednesday Night Dinner and Fellowship every Wednesday. Dinner reservations are strongly recommended. Dinner is served from 5:30 pm to 6:15 pm. Join us in the Fellowship Hall or have your meals to go. If you have a reservation and you arrive by 6:15, you will be served. Dinners cost $6 per person or $15 per family*. 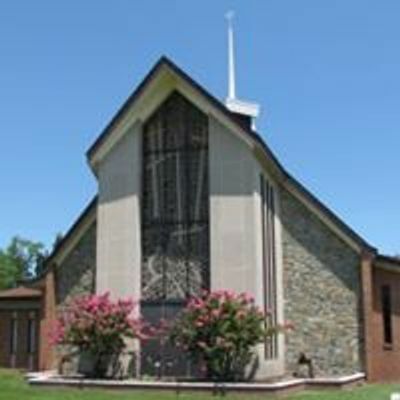 *Family price ONLY for single-household families with children 17 years and younger eating in the fellowship hall. All adult (18+) meals and all "to-go" meals will be sold at the fixed rate of $6 per meal (family discount does NOT apply). - ADULT LENTEN STUDY. FINAL WORDS by Adam Hamilton. Lesson 1: In life and in death, Jesus’ words were powerful and meaningful. Despite the serious effort and increased pain required for Jesus to speak as he hung on the cross, Jesus spoke seven “final words”—statements that have much to teach us about Jesus, his Father, and ourselves. In this book, Hamilton explores these final words as seen and heard through the eyes and ears of those who stood near the cross. Each chapter includes a first-person story as might have been told from the viewpoint of one of the characters at the cross. Then the chapter explores the meaning of Jesus’ dying words for our lives today. Join the crowd now and experience the final words from the cross. This study will be facilitated by Nancy Grizzard and books will be available soon. - YOUTH STUDY: Please join Michael after dinner for our weekly Youth Bible Study. All youth (6th to 12th grade) are welcome to all youth events. - GRIEFSHARE: Our GriefShare support group continues this evening. It will meet every Wednesday at 6:30 PM in room 6 right after the dinner through May 1. GriefShare is a friendly, caring group of people who will walk alongside you through one of life’s most difficult experiences. You don’t have to go through the grieving process alone. GriefShare seminars and support groups are led by people who understand what you are going through and want to help. For more information or to signup, please contact our lead contact, Dana Dunham, at 871-6965 or dHVtY0dyaWVmU2hhcmUgfCBnbWFpbCAhIGNvbQ==. All are welcome! Please tell all your friends and neighbors in need about this wonderful program. Flyers are available on the welcome tables. 3) Click "interested" or "going" on this Facebook event and CHANGE IT so it shows "Going". Please also comment in the event the total number of dinner reservations - we will assume just one if you don't comment. 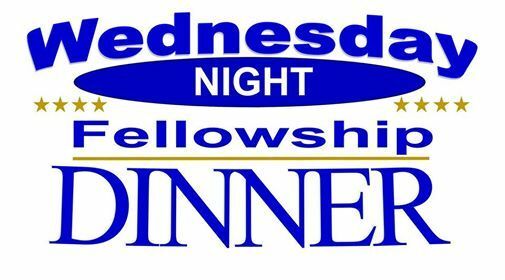 You do not have to be a member or even a regular attendee at Tabernacle in order to attend the dinner and fellowship. Reservations are recommended so we can be sure to prepare enough food for you.